Well the price was. Right (free) it's coming home tomorrow owner says it road that far just take all day. Free means there's something wrong with it? WOW that's an old one. last one I ran was 5 yard one don't remember the model #. Wish someone would give me a running loader like that! It has a screaming Jimmy in it.... We used to have one like that or very similar. Was a model 175 if I remember correctly. Doesn't steer very sharp but if you are man enough to run it you can accomplish something. Interests:MY INTERESTS?? 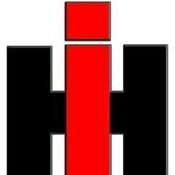 ANYTHING RELATED TO THE INTERNATIONAL HARVESTER COMPANY. Jimmys are near bulletproof and cheap to maintain. Not sure what style brakes but old loaders werent known for quality brakes. I've read about 4x4 shifting and ranges but no idea on speed..
makes you go faster in reverse though, save time, save money man! set it up like a snowmobile, go just as fast backwards as forwards and really set the world on fire. Yup 471 Detroit. There's a almost twin to it siting in a local yard here where a guy buys and sells junk. Guess ya can't go wrong with the price lol. My plan is take it slow to get used to the machine. We had a 275 straight frame with a 8V-71 (318) that was a great old bear. When moving it any distance we would travel in reverse. It just plain steered better than going forward. I do not know if it was just that worn out, or if it is like driving a car in reverse (steering axle trailing) versus driving a car forward (steering axle leading). 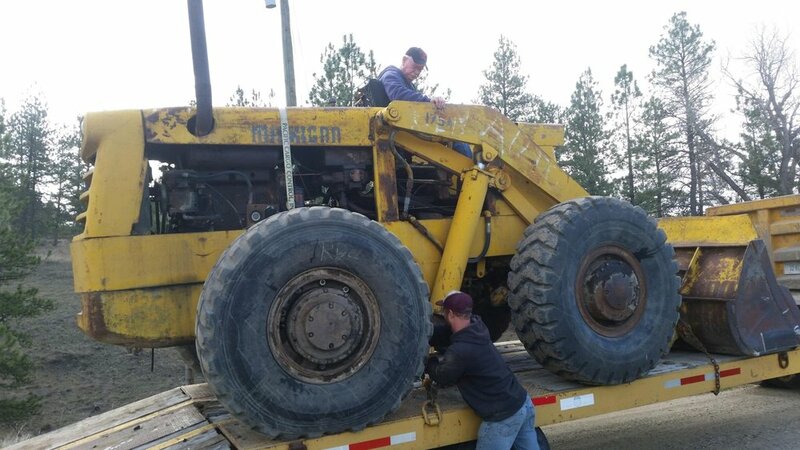 Then we got a 275B, articulated with a 400 Cummins. The one that we had had a bad parking brake (cable operated disk or drum) . Service brakes were air brakes so we put brake chambers on with the spring to apply for parking brake, air to release. The power steering pump was bad and the slave cylinder didn't have any power so we added two hydraulic cylinders and then a steering wheel and column and steering hydraulic motor from a 86 series tractor we had parted out. This gave it hydrostatic power steering. Straight frame--means it takes a quarter section to turn around. We used to have a Case straight frame, moved slow, turned slow but by George if you had traction or could get under it, it moved. We pushed silage with it for years. Agree with others , safest way to road it until you are real comfortable with it, is in reverse. wow that is old. I have a series 2 and that was when they moved the loader arms in front of the operator. That is probably a series one getting in and out over the loader arms is a challenge. this link if it works it to a place that has dozen of machines. There is also a place in Washington state or Oregon that has a big assortment of parts, I found them once but shipping was not going to make it practical for getting parts. Michigan was bought out by Clark first and they jumped around and used a lot of different motors, mine has a Continental gas Flathead 245 CI motor. As said before they can do a lot of work. Cabs of this era were not ROPs just weather protection. Take it easy with it you can very easily get your self into a very scary spot, the rear steer on mine will make pretty sharp turns, it does not do really well with hills and that is where I have found the scary instances. it should be high and low, if I recall up is low and down is high. cleaning a muck pile out of a pasture I would go into the pile in low, come out of forward into reverse staying in low, when I decided to head for the pile outside of the pasture, I would pause in neutral move into high than move into forward. mine is clutchless and I tend to pick which I am going to use and stay there. shifting it between the two really puts a hit to the machine. you might also have a work and travel lever on the floor.